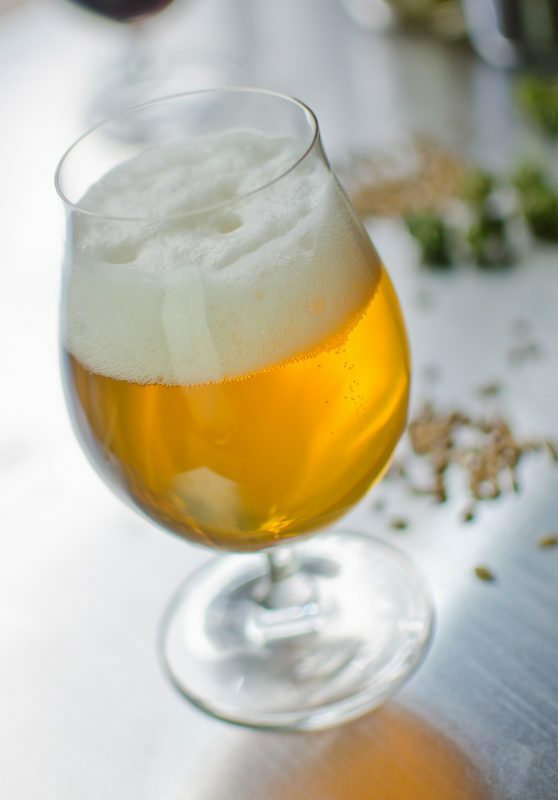 The following recipe appears in the article “Style Spotlight: Belgian Golden Strong Ale” by Amahl Turczyn, featured in the July/August 2016 issue of Zymurgy magazine. Join the American Homebrewers Association and access the Zymurgy magazine digital archive! 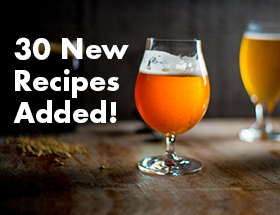 As with many Belgian beers, this homebrew recipe achieves maximum fermentability from a lengthy, slow-ramped mash schedule and the use of sugar as an adjunct. The light palate, despite it’s formidable strength, lends to a bone-dry finish that allows the small amount of hops used to really come forward in this well-balanced beer. Using reverse osmosis water treated with 1 gram calcium sulfate per gallon (0.26 g/liter), mash grains at 147° F (64° C) for 60 minutes. Raise to 151° F (66° C) and hold another 30 minutes. Mash out at 168° F (76° C) for 10 minutes. Collect wort and boil for 60 minutes, adding 1 lb. dextrose to kettle for 15 minutes before knockout. Chill to 64° F (18° C) and oxygenate wort. 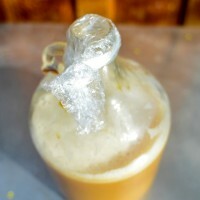 Pitch active yeast starter. A day after high kräusen is reached (usually 3 to 4 days from pitching) add 12 oz (340 g) dextrose to just enough water to dissolve. Boil the solution 10 minutes, cool briefly and add it directly to primary. Allow primary temperature to rise from 64° F to 78°F (26° C), applying heat if necessary. When final gravity is reached, usually after about 8 days, add (or rack onto) gelatin fining solution and crash to 32° F (0° C). Hold at this temperature for 21 days. 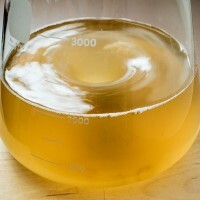 Rack clear beer and blend thoroughly with a solution of 8 oz (227 g) dextrose and a dose of fresh yeast (an active starter of the Belgian Golden strain, or properly rehydrated Champagne dry yeast). Bottle in sturdy brown bottles. 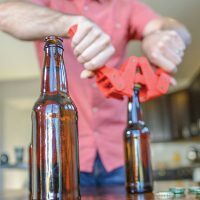 Keep bottles at 75° F (24° C) for two weeks to allow for carbonation. Chill a bottle and verify carbonation has reached around 4 volumes. If this is the case, cold-store remaining bottles for six weeks at 40° F (4° C) to allow beer to smooth out and mellow. Substitute 7.8 lb (3.54 kg) Pilsner malt extract syrup for the Pilsner malt. Dissolve malt extract in brewing water and proceed with 60-minute boil as above. Color may be slight darker than that of the all-grain version.